How to Set Up a Timer? Sometimes, when you work or play with computer, you perhaps still have some other things to do. Maybe you are too concentrated in your work and forget some certain things. So a timer is necessary for you. Step One: Download a Cool Timer and install it on your computer. Step Two: Click “Options” on the bottom of the window. Step Three: There are many options for you to choose. 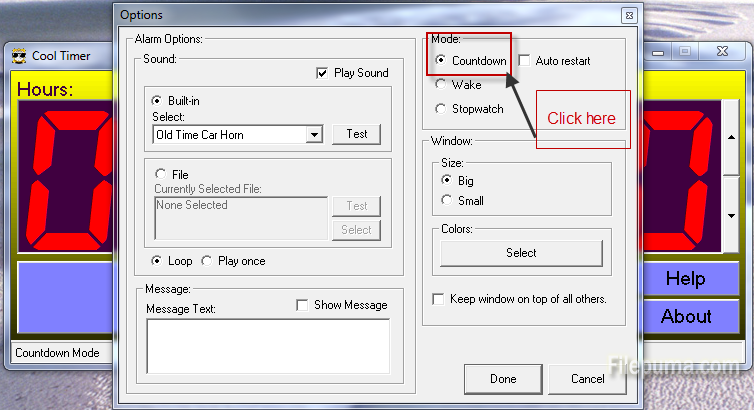 If you want to let Cool Timer remind you something later, you should first choose the Mode: Countdown. 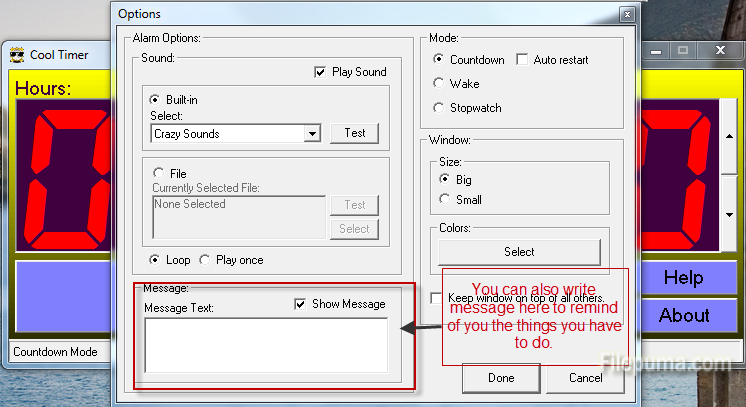 Step Four: Then you can choose to play the sound or not when the time is out. 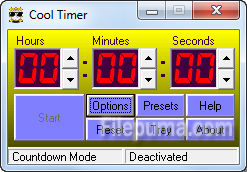 Cool Timer has two options for you. 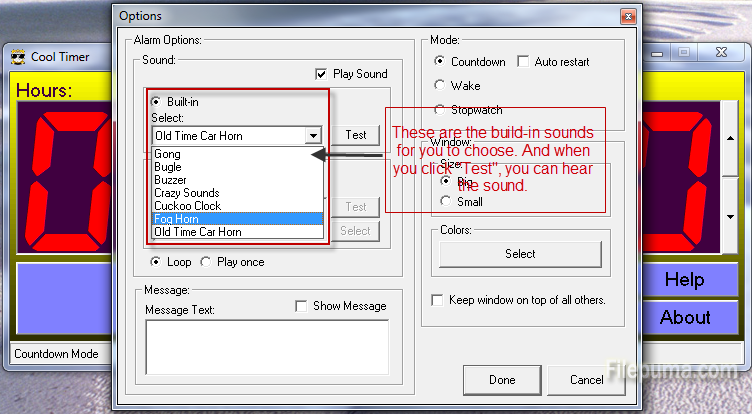 You can choose the sound build in or the other sound from your computer. You can also set up the frequency of reminding.